You Are Here: Home > What are the 2018 Acura RDX Exterior Features? The 2018 Acura RDX exterior boasts a variety of features, including 18-inch wheels, power tailgate, LED headlights, and bold lines—all of which work together to create an appealing model. 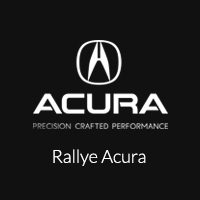 Learn more about these features from Rallye Acura. LED headlights: Create enhanced visibility on the roads with the LED headlights. Bold lines: Turn heads with the impeccable style created by the bold lines on the RDX.